New Orleans There was a front page story in the Wall Street Journal about the fact that more and more of the remittance business from banks and money transfer organizations like Western Union and MoneyGram is between countries in Latin America rather than from US and Canadian immigrants to Latin America. 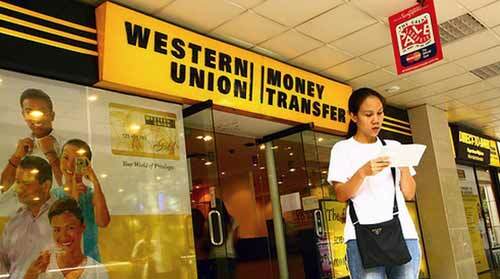 Western Union in 10 years has seen US-based transfers drop from more than half of its business to only 30% of the $79 billion it moves. What I have not seen, that I should have seen, and correct me if I’m wrong, so ACORN International will know and Google can get right, is any indication that Western Union, MoneyGram or any major US-based bank has suspended remittance fees for immigrant families and relatives in the US who are trying to send desperately need money to the Philippines in the wake of the terrible typhoon disaster the country is experiencing. I heard from Judy Duncan of ACORN Canada yesterday where our Remittance Justice Campaign is a major emphasis, that some banks had announced that they were suspending fees temporarily to help out. In the US, we may be reading about a $13 billion dollar JPMorgan Chase settlements, but we are not reading about banks or MTOs stepping up in this huge Katrina-level disaster. And, in the Philippines this matters even more than in most countries. Some of the best remittance policies in the world exist in the Philippines, because, like it or not, exporting labor is a linchpin in their national economy, so before issuing a work visa overseas, the government instructs traveling workers in how to handle transfers at the lowest possible cost. With workers all over the globe, and all over the US in hospitals and other occupations, a suspension of remittance fees during this crisis even for a couple of weeks could mean many more millions that could go to direct relief, family-to-family, person-to-person. ACORN International is calling on banks and MTOs in the US to immediately suspend remittance fees so that money can move immediately to families in perilous circumstances desperate for aid from their families. This is the season for Thanksgiving and Christmas. Rather than just bowing our heads, let’s stand up straight and demand that banks, Western Union, and the rest do right and do it right now. This entry was posted in ACORN International, Citizen Wealth, Financial Justice and tagged Philippines, Remittances, Western Union by Wade. Bookmark the permalink.